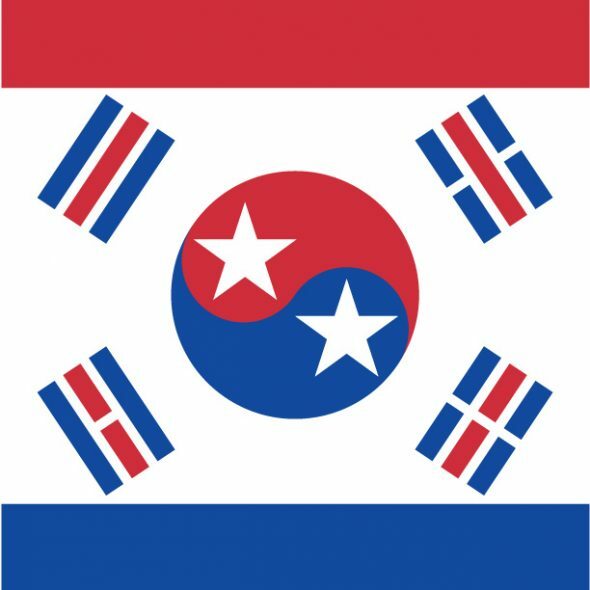 Earlier today, well, not that long ago I saw an article in the New York Times about making some designs for a united korea, since they will be playing together during the coming Olympics. And a logo for Russian athletes to help distinguish where they are from because of stupidity done by the Russian government for doping. That’s all talked about in the article. It also talks about submitting possible design ideas for either the Russian or the united Korean teams. I made this using elements of both flags. Also asked for it to be a square design. I hope they like my design.